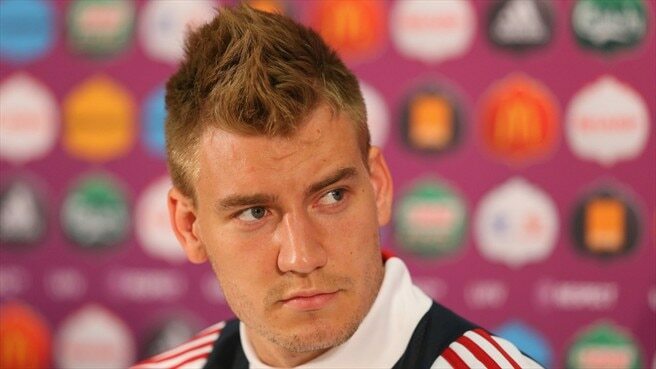 Walcott’s contract, Bendtner, Frimpong, more joy, and stuff. Today in the Arsenal community has been one of joy. There’s nothing like stuffing your greatest rivals to bring back harmony and lift previously deflated spirits. Like I’m sure many of you have; I’ve watched the goals and match highlights a fair few times, and I don’t envisage myself getting bored any time soon. Most of the news bouncing around out there centres around Theo and his contract. The epic, gruelling saga is akin to being forced into a room with squawking teenagers waxing lyrical about the Twilight series – it’s interminable, and makes you want to punch yourself in the head until rendered unconscious. Like that horrifying movie debacle, there is and end in sight – one way or the other. Some folks more ‘ITK’ than I claim Theo intends to run his contract down and weigh up his options in the summer. Without a transfer fee, he would be able to command a higher wage from potential suitors. Given the club’s stance, I doubt that will occur – he’ll either sign by December, or the earth will be moved to move him on in January for the highest amount we can get. It’s a great shame. Just as he’s starting to show some sign of consistency, and the form to prove many of his doubters – me included – wrong, it appears probable we’ll lose him. I don’t pretend to know the way things work behind the scenes at Arsenal, but I’m baffled by the frequency with which we allow this to happen. Palyers of value can run down their contracts too easily, and that has to be something that’s thoroughly looked at. Elsewhere, the giant lumbering ego that is Nicklas Bendtner has been courting the advances of just about anyone who’ll have him by stating he won’t rule out a transfer to any of his previous club’s rivals – taken to mean Spurs. He’s hardly setting Seria A ablaze at present, and given the bitterness he has towards Arsenal, I wouldn’t actually be surprised to see him end up at Spurs – I wouldn’t care a jot, either. Lastly, Emmanuel Frimpong has secured a loan move to Charlton until January 1st. All the best of luck to him, and I hope a few games in Charlton’s first team can aid his devopment. Frimpong may not be the most technically gifted of footballers, but he has something about him, at that’s a trait we miss on occasion. I like him, and I think he has a future at Arsenal. That’s all for this evening, folks. The comments are a wonderful feature in which you can regale me with tales of baiting Spurs fans, your views on Theo, or whatever else might be swirling around your respective brains. I look forward to reading a few. Thanks for reading, you beautiful bastards. I shall return tomorrow – at some point. I’m a huge Bendnter fan, I hope he stays a Gunner somehow still young and 10x better than a Ramsey and I would put him on par with Giroud! People have him wrong watch 10-11 AFC season review vital to the club when played. Our these quotes from him directly or overzealous media? Great post once again minus NB jibe! What’s WITH the seemingly RANDOM use of capitalised WORDS? NB issue has alway been with his ego, he needs to prove us wrong on the pitch by banging in goals on any given match day. TH14 is arsenal’s threat up front & he deserves to be rewarded with some good clauses in a new contract, even if not 100,000 @least 90,000 I think he has earned that with his performances so far this season. Alex Song went to Charlton on loan as well & we all know that was the turning point for him. I pray we get a deja vu for Frimpong as well, he has the drive in mid field to unsettle opposition play. Aresnal pls keep TH14, that’s the only way of letting we the fans know you value the club too coz selling our best players is something I’d never comprehend.